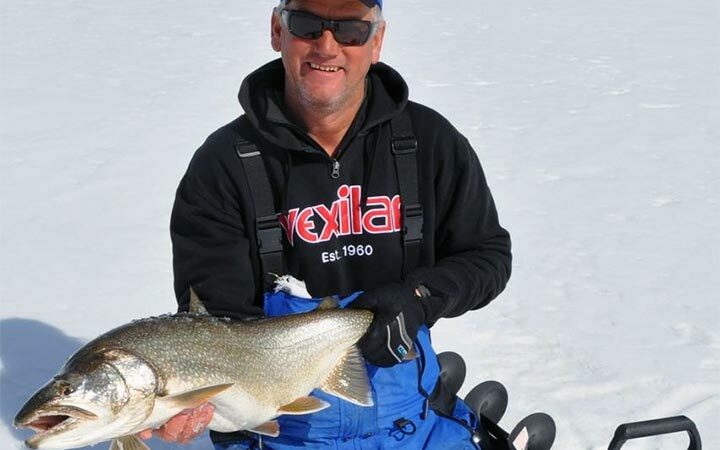 In this report, Bernie Keefe gets to go fun fishing with his buddy and catch a nice lake trout. You get to watch the master in action. Bernie uses Vexilar electronics to locate fish, Eagle Claw ice fishing rod , FINS braided fishing line and a tube jig at the terminal end. If you have never gone ice fishing, do yourself a favor and look Bernie up.